Dagenham & Redbridge Coach is DEFINITELY GOING. Travel for just TEN POUNDS! We are pleased to say that the coach to Dagenham WILL be running. At the AGM of the club on Thursday night, Charlie Clapham very generously offered to sponsor the coach which we have now been able to confirm with Alfa. We have decided to charge just TEN POUNDS to everyone travelling on it and any profits made will go towards ensuring future coaches can run. 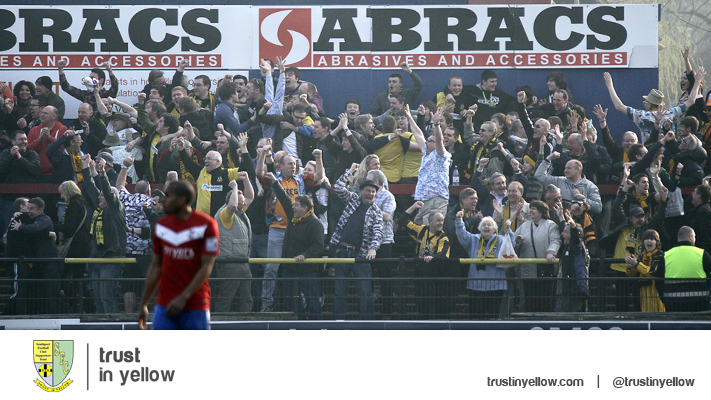 The coach will leave the Merseyrail Community Stadium at 7.30am. We can pick passengers up in Ormskirk and by the M58 at Skelmersdale. We already have twenty confirmed bookings and anyone else wishing to book can do so by texting Bill Sloan on 07952 056385 or email him at wjsloan@blueyonder.co.uk or come into the Trust office before or after Sunday’s match against Everton. 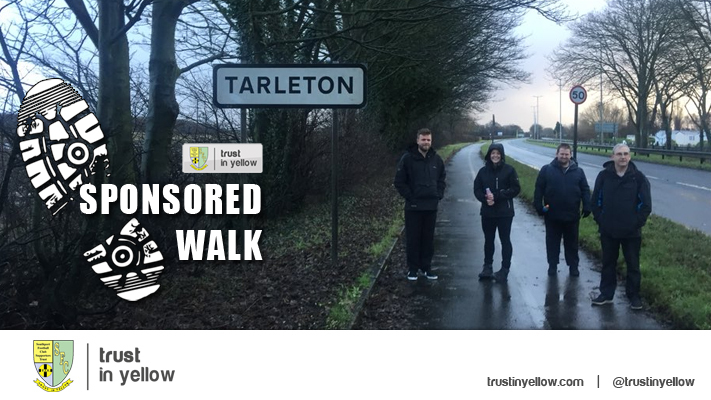 You can also phone the Trust on 07475 029052. We will also be taking bookings for the Macclesfield coach (already confirmed as running) and the Lincoln and Forest Green coaches. 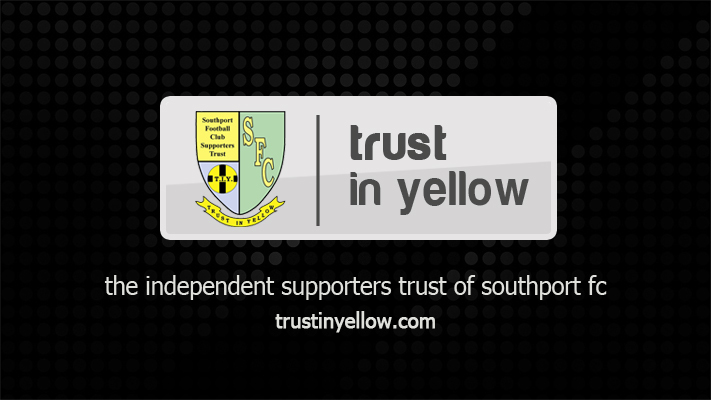 Trust In Yellow would like to thank Charlie Clapham for sponsoring the coach and we look forward to filling it with supporters for this important first match of the season. The minutes of the past two Trust meetings are now online. The minutes from the members' meeting on June 14 are HERE and the minutes from the board meeting on July 11 are HERE. We know that members appreciated the improvements we made to our Coach Travel last year. We shall try to repeat and if possible improve on that this season. We sent out requests for quotes to eleven coach companies after the fixtures were issued although only a minority of those actually replied. The cost of hiring a coach for some of the trips has increased but we aim to be as competitive as possible in our prices. Coach (Alfa) leaves the MCS at 7.30 am. We are offering this at a price which is much cheaper than we offered on the trip to Dagenham for the FA Cup match two years ago. We must have bookings for this coach by Sunday, 31st July after the Everton match. There will be earlier pick up points at the Arion etc. £22 for members, £19 under 16 members, £27 for non-members. Coach (Alfa) leaves the MCS at 9.30 am. Places on the coaches can be booked in the Trust Office on match days or by texting Bill Sloan on 07952056385, emailing him at wjsloan@blueyonder.co.uk OR through the Trust In Yellow Facebook or Twitter pages. 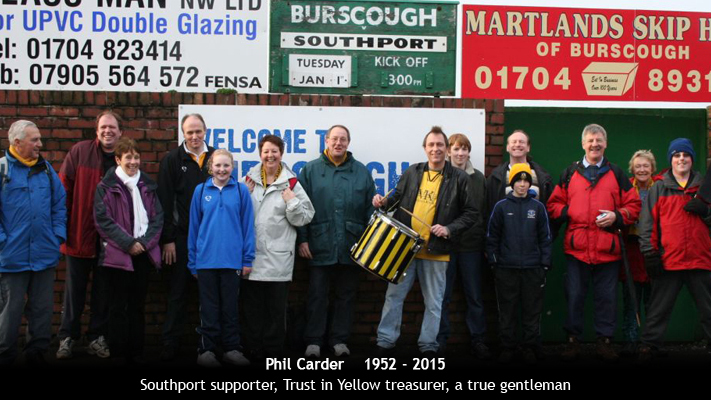 We’re delighted that Trust in Yellow will feature prominently at all seven of Southport’s friendlies this pre-season. As they prepare for the campaign ahead, Andy Bishop’s squad will play their warm-up matches in a brand new pre-season kit, which is part sponsored by the Trust. It means that the Trust’s name will feature on the shorts and sleeves of every player this summer and it will also become the regular kit for friendlies in future seasons. The Trust would like to thank club photographer Julia Urwin, who has kindly donated the funds raised from the use of her photos last season to cover the Trust’s contribution to the project. Also sponsored by sportswear providers, Galaxy Football, the new kit, consisting of a pink shirt and black shorts, will be worn for the first time this Saturday, when Southport open their pre-season schedule away at Bootle. 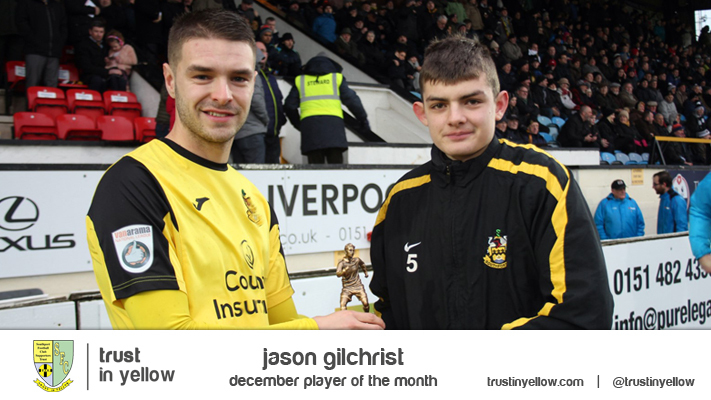 Pictured with the new kit is Andy Bishop, the Southport manager, with Mark Parr of Galaxy Football (left) and Noel Warham, the Trust in Yellow vice chairman. The new colours have been introduced after pre-season kits were used to raise money for charity in both 2013 and 2015. After the visit to Bootle, the Sandgrounders travel to Chorley next Tuesday, July 12. Bishop’s team play at home for the first time against Bury on Saturday July 23, before the new National League season begins on Saturday August 6.